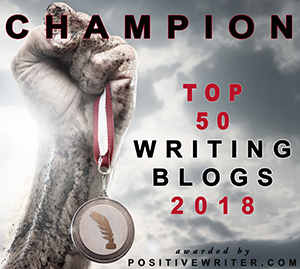 If you like our blog, please visit the Positive Writer post and leave our name (Story Empire) and URL (https://storyempire.com) in the comments along with a brief statement of why you like our site. You don’t have to fill out any forms or click on a series of links. There’s no poll or checklist, and you definitely don’t need to subscribe to anything. Voting is as easy as putting our name, address, and a short sentence or two in the comments. (And if you want to ask your friends to do so as well, we’d be doubly grateful.) Voting ends December 1, so the clock is ticking. Our goal is to provide writers with helpful, valuable industry content, and your support means the world to us. Thank you. Woo-hoo! Got miine in. You guys rock! I headed over and voted for you. Story Empire is a great site. Good luck! I have cast my vote for Story Empire! You so deserve this honor! Many thanks, Gwen. We appreciate it. Congratulations, SE! I’m voting now! Thanks! Voting puts me in awkward position, but that doesn’t mean I don’t still love you guys. You know that, right? I’ll always be rooting for you! Of course we understand. No worries. We’re in the same situation. Hopefully we both make a good showing. It would be fun to celebrate together. Sue, The Kill Zone is one of my favorite blogs! Congrats on becoming a part of it. Great! I will head over! Wow! Many thanks to John for the nomination. So very much appreciated. I am off to reblog and share! You guys do such a good job for all of us, everyone should visit and give you a shout out. Many thanks for the mention. I tried to sneak in under the cloak of Howard Hughes but appreciate being exposed. We believe in sharing the love, John. You did us a solid, and we wanted to return the favor. Thank you so much for the nomination. And for your continued support. Fantastic, Staci, I have popped over and left my comment. What an awesome opportunity. You have my support!